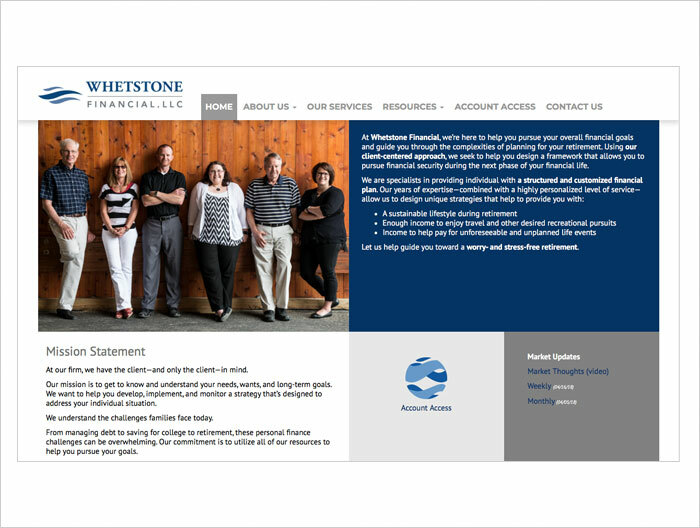 Whetstone Financial, LLC is part of the Commonwealth Financial Network. They came to us to rebrand their logo using the local Whetstone River as inspiration. The final logo was used for signage and on their website.